It’s 3 am and I just finished some work so I decided to peep into Daniel’s room to see if he’s sleeping ok. It might also be the sappy Justin Bieber song I have on, but am feeling so so nostalgic right now watching my son. He’s just so grown up now, developing his own character and wanting so badly to do things on his own. Mommy, don’t do it! Mommy, I want do myself! Mommy, no don’t help me! Mommy just wait here ok? I can’t even bring myself to read my past blog posts ( I will cry) when I was writing about Daniel moving around in my tummy. And how much I wanted him out already at 40 weeks. Now… I kinda wish he stayed in longer so that I can have more time with him. Soon, he doesn’t need Mommy anymore. Just writing this is building up a huge lump in my throat. Sighhhh why do our babies have to grow up so fast? Tonight, for the first time, he asked to sleep in his “big boy” bed. He’s been sleeping on this ship-shaped bed, a low rise one on the floor. We have another bed in his room which is a normal single bed, for guests who come and sleep over. 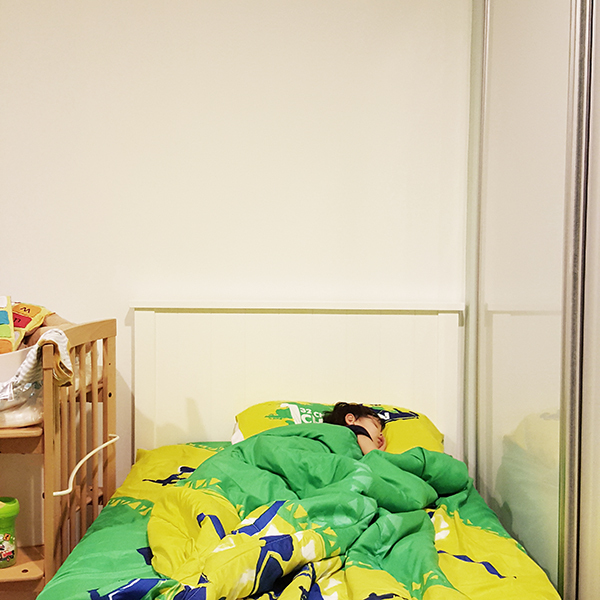 He’s never asked to sleep in there, but tonight, he insisted that he wanted to. We weren’t ready because he might roll around and fall off the bed so we pushed the bed all the way to the wardrobe and put another piece of furniture on the other side. He fell asleep immediately, and he looked so big already. Clingy mom for sure.. but I miss my little baby even when he’s sleeping, is that weird? On another note, today he baked cookies in his school! 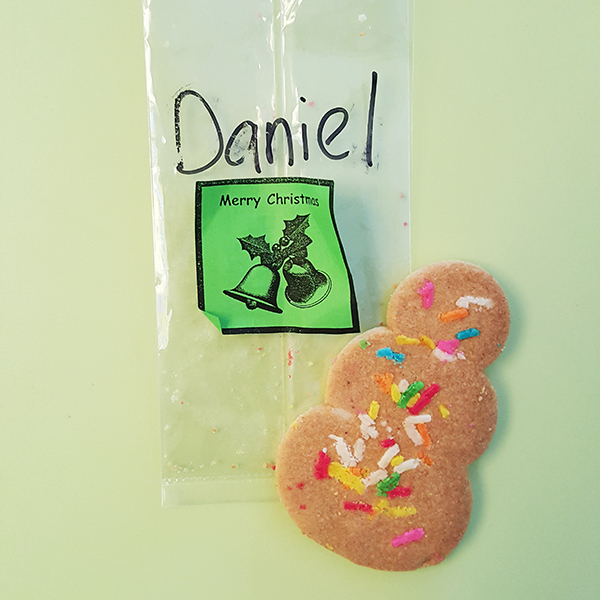 He came back with snowman cookies (which he ate and did not share with us) and I just had to snap some pictures for his keepsake later on. Just look at him… such a big boy already. awww! watching him grow in your blog and IG.. how fast time flies! he’s gonna be an awesome young man, big brother and son! 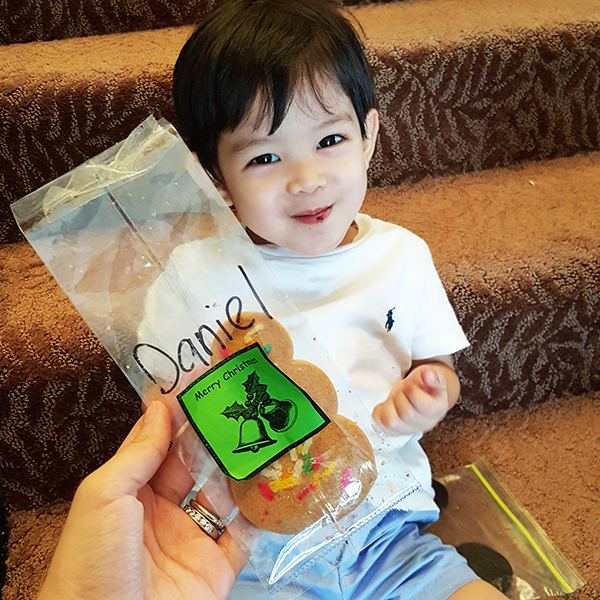 First came to your blog when Daniel was a newborn…now all big boy ady! they grow up too fast!!!! my daughter is two years old and she’s behaving like a teenager already LOL. i think i will be one of those needy mommies kissing her in front of the school gate as if she is still five when in actual fact she is already fifteen. i don’t care what anybody says i will kiss her all the time! !